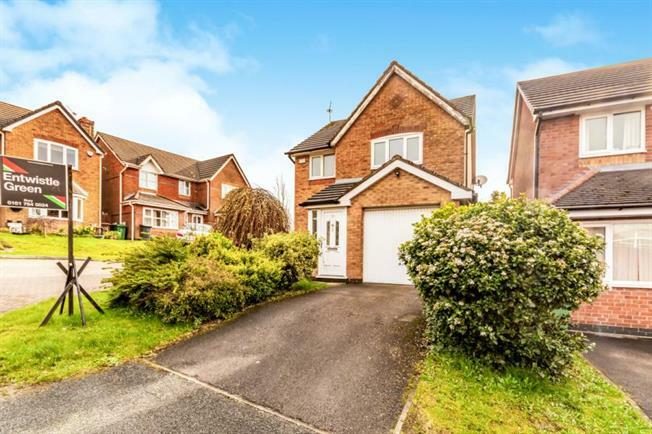 3 Bedroom Detached House For Sale in Bury for £185,000. Entwistle Green bring to the market this modern detached family home occupying a corner plot and conveniently situated in a family friendly cul de sac close to Bury with all of its local schools, amenities and motorway links.The property briefly comprises of an entrance hallway leading to a well proportioned living room, dining room, kitchen and conservatory to the rear. To the first floor are three double bedrooms, the master benefitting from an en-suite and family bathroom. Externally the property has a driveway, garage and gardens to the front and rear. The property benefits from full uPVC double glazing and is warmed by Gas central heating.